Product categories of CNC Grinding Machine, we are specialized manufacturers from China, Cnc Grinding Machine, Cnc Rubber Roller Grinder suppliers/factory, wholesale high-quality products of Cnc Rubber Roller Grooving Machine R & D and manufacturing, we have the perfect after-sales service and technical support. Look forward to your cooperation! The products we provide are: Rubber Roller Builder, Rubber Roller Grinding Machine, External Cylindrical Grinder, Emery Belt Precision Machine, Fully Automatic Measuring Instrument, Grinding Head and Fitting of Equipment. Specialized digital-controlled software for roll processing,make almost all the profile of rollers. 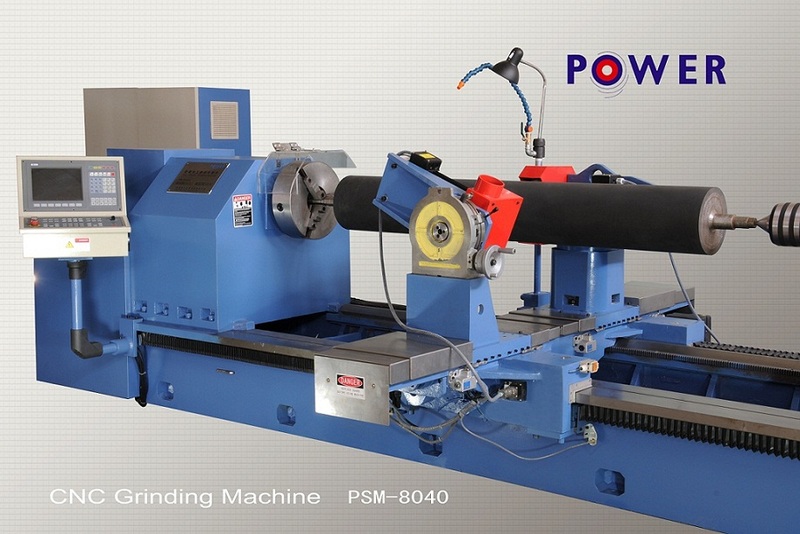 Base on the basic PSM series General Grinding Machine, PSM-CNC series is developed by changed the driven type and control system. CNC system is specialized digital-controlled software for roll processing. Jinan Power Rubber Roller Equipment Company and the institutions of scientific research develop the software. Its professional performance characteristics are the best among the machining industry. Due to the all-round of the system function, it can make almost all the profile of rollers. For instance, parabolic crowning and concave, cosine crowning and concave, circular, cone, coarse pitch, herringbone, diamond, straight groove, horizontal groove and other formations in the appended drawing.